"World Mental Health Day: Mental health issues in the workplace"
This year, World Mental Health Day focuses on the workplace. Whereas national well-being in the UK seems to be improving over recent years, mental health issues in the workplace still pose a significant problem. Work-related stress in the UK in 2015-2016 accounted for 37% of all ill-health cases, and for 45% of all working days lost due to ill health. Workload pressures (including tight deadlines and too much responsibility) and a lack of managerial support were identified by the Health and Safety Executive as the main factors causing employees’ work-related stress. The good news is that managers now recognise that they play an important role in creating work conditions under which employees can function in a healthy and productive manner and more importantly that employee mental health and wellbeing forms part of their responsibilities. However, many line managers lack vital skills and training to recognise when stress levels may be spiraling to dangerous heights within their own team, or to identify when staff members are struggling with mental health problems. Mental health awareness groups like Time to Change identify that the first critical step in dealing with mental health issues in the work place is to confront the culture of silence; we need to get people to talk about feeling too stressed. Despite mental health being pushed up the agenda thanks to the Royal Family and the Prime Minister, discussion of this subject within the workplace remains highly stigmatized. Which raises the question: with stress and mental health remaining such taboo subjects, what can HR teams do to start a conversation around these issues? How can line managers spot the signs that their teams are at risk, and talk to them before they reach crisis point? Inspired by aviation and medical best practices for handling crises, we developed a simple yet robust protocol that helps managers and HR professionals to identify cases of potential high stress. A robust protocol is one that is easy to remember and clearly pinpoints the critical issues that must be addressed. A classic example of this is the APGAR score, introduced in 1952 by Dr. Virginia Apgar, that is used to assess how well a newborn baby is coping with the stress of birth. The medical APGAR score is effective because the easy-to-recall acronym—including assessments such as Appearance, Pulse and so on—serves a protocol for rapidly taking stock of the newborn’s overall state within minutes. Rather than being a test, survey, or assessment tool, the Stress-APGAR provides a set of guidelines that help HR professionals and managers to think about and articulate factors that may lead to burnout or other stress-related mental health issues of their staff. To give a practical example, consider Richard, a marketing executive in a large construction company. He was known in his team for his numerous innovative ideas that he would eagerly contribute in their weekly team meetings. Over the last month, his line managers noticed that Richard was a lot quieter in meetings than usual. In fact, now paying attention to it, Richard had been looking rather tired and jumpy. Rather than coming up with new ideas, he had been complaining about feeling stuck in his work. Colleagues had also reported that Richard had a few angry outbursts lately when he was asked about whether he would make the deadline for a new project. While going through the APGAR dimensions in his mind, the line manager realised that Richard might be about to crack under the increasing workload pressure. By looking out for subtle signs and symptoms of stress, the Stress-APGAR dimensions, when taken together, can be used as a barometer that indicates changes in an individuals’ internal pressure system. Our exploratory studies have shown that the Stress-APGAR can be used repetitively to assess whether there is an increase or decrease in the danger signs, and understand when it is the right time to seek additional support. We have found that the Stress-APGAR can be used by anyone — at any level of the organisation, but also family members and friends — to gather information and begin a conversation with the individual concerned. The tool can be especially effective amongst employees who are often reluctant to talk about their problems. The approach of paying attention to signs, and empathetically asking open questions can have a positive effect, reducing social isolation and eventually helping the individual to open-up. Once trust is established in this way, it is often easier for the person at risk to make the causes of their stress a discussable subject, as well as create a springboard for what can be done to help them. On #WorldMentalHealthDay, as we shine a spotlight on mental health in the workplace, our goal is that the Stress-APGAR will become a trigger for courageous conversations on the subject of stress in organisations all over the world- not just today, but each and every day. Interested in finding out more about the Stress-APGAR? We are running a pilot-workshop in November in central London. The workshop is aimed at HR professionals and line managers and will demonstrate the Stress-APGAR in action. In exchange for a complimentary place, we invite participants to give feedback on the format and content of the workshop. As International Women's Day is celebrated today across the globe, we asked ourselves what we would pledge to drive ground-breaking action within organisations to truly drive the greatest change for women. Continuing on from Part 1 - Meetings: a matter of life or death, here we reflect on group role identities and the way they can affect underlying dynamics in meetings. "The key to successfully making your early experience and natural talents work in your favour at work is awareness." Early life experiences accompany us all the way to the executive boardroom. This blog explores how childhood family dynamics can have a direct influence on executives' work experience, including: preference for certain way of working in a team; relationship with peers and authority; approach to stakeholder management; and performance. Most people, if they are honest, will admit that they don’t always like meetings. 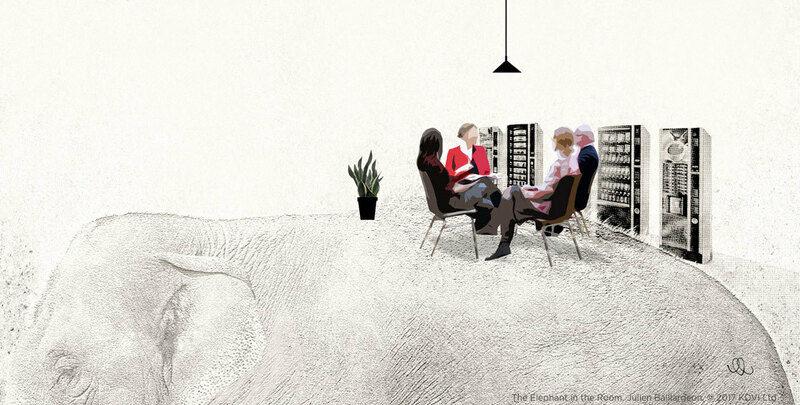 In this two part blog series, we explore what might be going on under the surface in meetings. In Part One, we look at the fact that in meetings, people are not always able to tackle the real challenges the group faces, and may not even be aware that as a group, they are off course. In Part Two, we explore group role identities and how they influence meetings in hidden ways.